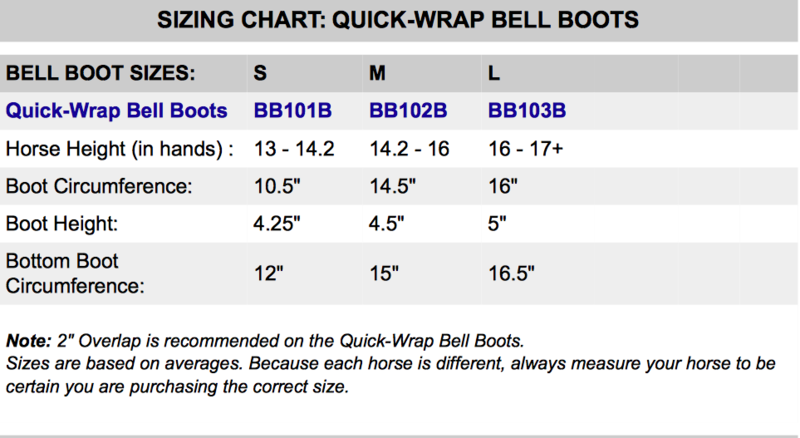 It is important to choose the correct size for your horse to get the optimum benefits from the boot. In the above chart are circumference and height measurements. 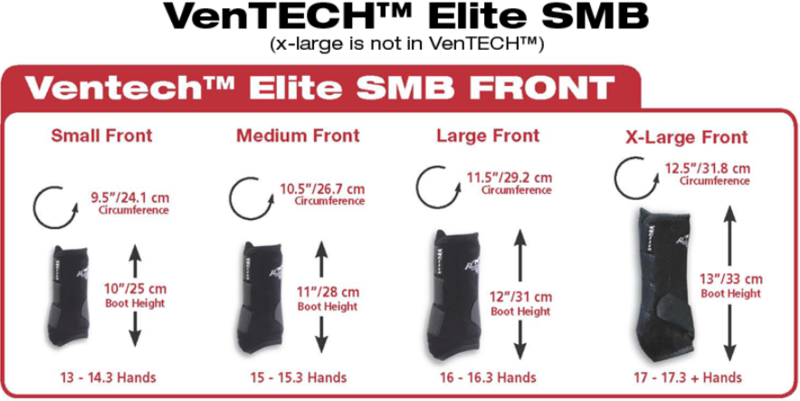 The circumference measurement of the boot is more critical than the height because the boot must fit around the horse's leg and overlap 1/2" to 1.5" to be effective. When sizing, the height of the horse and the coarseness of the bone should also be taken into account, but these should not be the only determining factors. As a general rule, hroses will use one size larger on the hind legs than the front ones. For instance, many mature horses wear (medium) on the front and(large) on the hind legs. However, in instances where there is no pronounced size difference in the fetlocks, the horse can wear the same size on the front and hind legs. 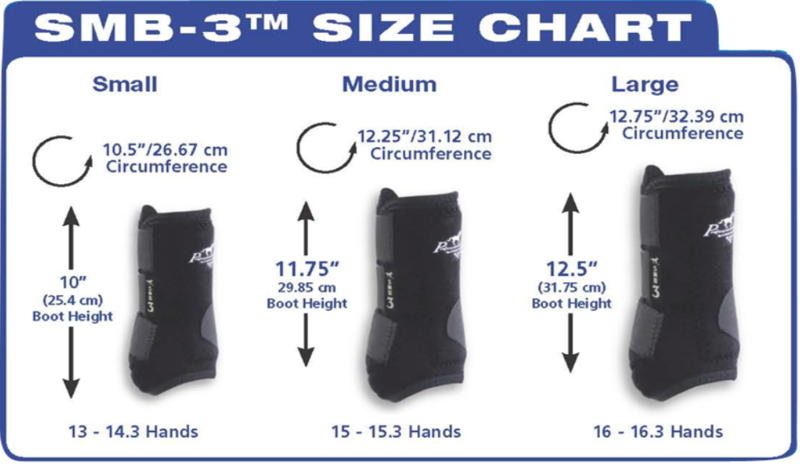 To choose the correct size, refer to the above chart. If you are still unsure which size to get, you should measure the circumference of your horse's front and rear fetlocks at the widest point (see picture at left). After doing so, choose the boot size that is the next bigger size than your measurement.